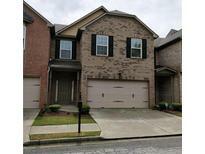 Find Snellville, GA Homes for sale. View Photos, Maps and MLS Data Now! 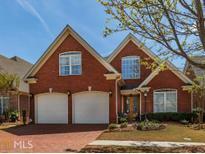 Dominion Walk - Sought After, Award Winning Brookwood School District. MLS#8567322. 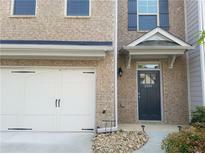 Solid Source Realty Ga.
Open Fields - Slightly Different Floor Plan That Some Of The Recent Listings We Have Had. MLS#6539528. Berkshire Hathaway Homeservices Georgia Properties. Open Fields - Don'T Wait. These Do Not Last. MLS#6539538. Berkshire Hathaway Homeservices Georgia Properties. Cooper Manor - Up For Sale Is A Spacious Townhome, Granite Counter Tops, Huge Master Bedroom, Double Vanity , Huge Walk In Closet, Upstairs Has A U Loft Space For A Small Office, Bookcases In The Living Room , Huge Kitchen With Nice Appliances, Fenced Private Backyard, Excellent Location, 2 Car Garage, Fairly New Carpet, Ready For A New Owner, Hurry Wont Last Long !!!!!!!!! ! MLS#6538991. Solid Source Realty, Inc..
Lake Port - Large Kitchen With Breakfast Area & Breakfast Bar, Move In Ready. Bring Your Buyers! MLS#8560952. Keller Williams Rlty Atl. Part. Convenient To Shopping, Hwy 78 And Hwy 124. No Hoa! MLS#8564967. Realm Asset Management Llc. Shaywen Estates - Huge Fenced In Backyard. This Is A Must See! MLS#8563568. Petra Realty Inc..
Carrington Village - Great Location To Restaurants And Shopping. MLS#8560419. Berkshire Hathaway Homeservices Georgia Properties. Pine Ridge At Madison - Sold As Is. No Seller'S Property Disclosure. MLS#8555838. Virtual Properties Realty .Net. The Guest House Was Built In 2014 And Has Its Own Driveway, Efficiency Kitchen, Living Area, Bedroom And Full Bath. A Great Property!! ! MLS#8554016. Southern Classic Realtors. Willingham Manor - Nice Private And Fenced Backyard In This Quite Subdivision. MLS#8554903. Virtual Properties Realty.Com. Ellington Springs - With Spacious Secondary Bedrooms, A Formal Living Room, Formal Dining, Family Room, Eat-In Kitchen And A Large Level Yard, This Home Has Everything You Could Ask For. MLS#8552681. King Realty Group, Llc. Imperial Crossing - *Low Hoa!Agent Is Related To Seller MLS#8552849. Georgia Dream Homes Realty. This 2-Story House Features Master On Main, 3 Bedrooms Plus Bonus Room Upstairs, 2 1/2 Bedroom And Laundry Room. This A Must See!! ! MLS#8552035. Petra Realty Inc..
Eastmont Cove - Loft Can Be Used As An Office, Play Area, Guest Room With A Daybed, Private Back Yard To Enjoy For The Summer, To Much To List... MLS#8551548. Perfect Option Realty, Llc. This Property Will Not Last Long! MLS#8550211. Solid Source Realty Ga. Bright Water - Welcome Home! 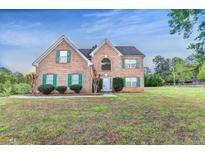 MLS#8547943. Palmerhouse Properties & Assoc. Millers Pond - The Tranquil Backyard Has 2 Great Patio Areas You'Ll Want To Sit & Enjoy For Hours. A Must See! ! MLS#8548064. Virtual Properties Realty .Net. Enjoy The Spacious Level Backyard From The New Oversized Patio. MLS#8542217. Keller Williams Rlty Atl. Part. Glen Ridge - Appointment Needed To Show. Small Pet. MLS#8541451. 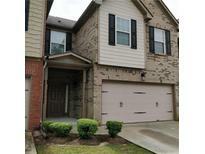 Realty Zone Atlanta Llc. Haven Crest - Exterior Work/Tool Room. Has Special Addenda & Disclosures. 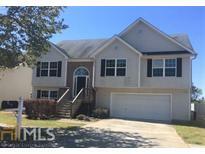 MLS#8540249. Open Doors Realty Llc. Highland Park - Come & Make This Terrific Home Your Own. MLS#6516389. Keller Williams Rlty-Ptree Rd. Open Fields - Save Money Here - Refrigerator Is Included! MLS#6516449. Berkshire Hathaway Homeservices Georgia Properties. 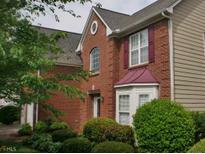 Eastmont Cove - Neighborhood Has Swim/Tennis And Allows Rentals With Limited Restrictions. MLS#8539461. Keller Williams Rlty First Atl. 2 Hour Notice Required To See. MLS#8537809. Keller Williams Rlty Atl. Part.